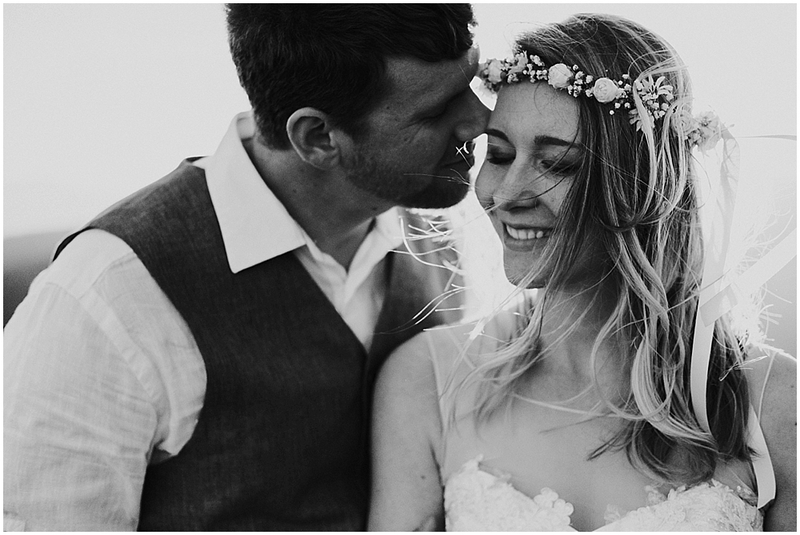 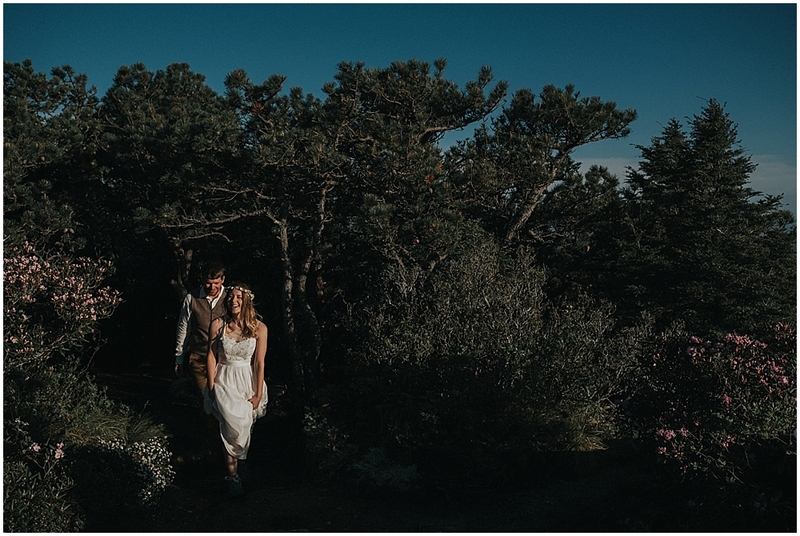 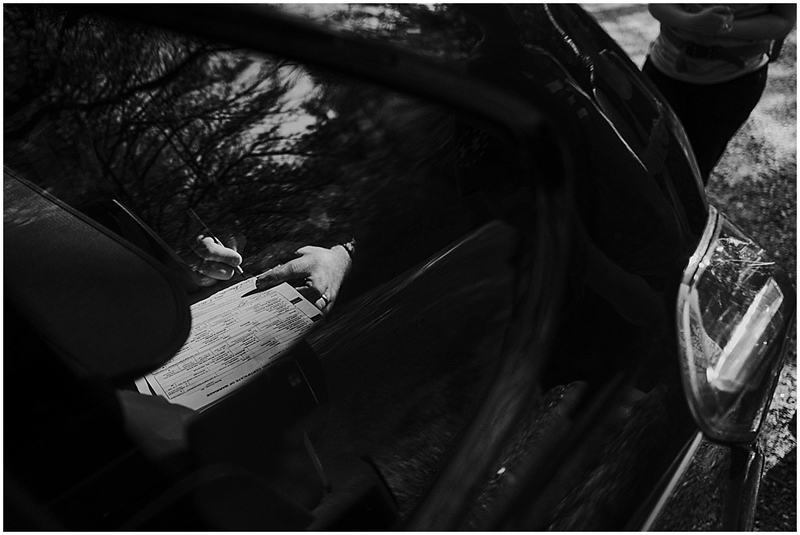 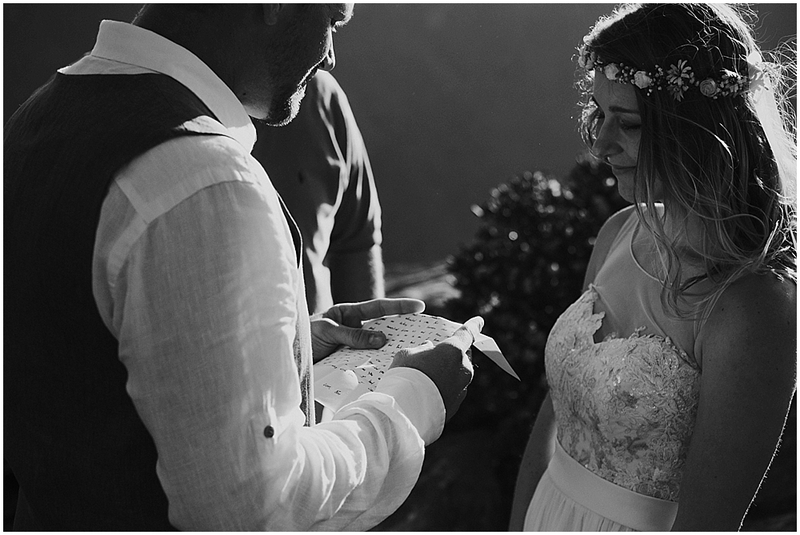 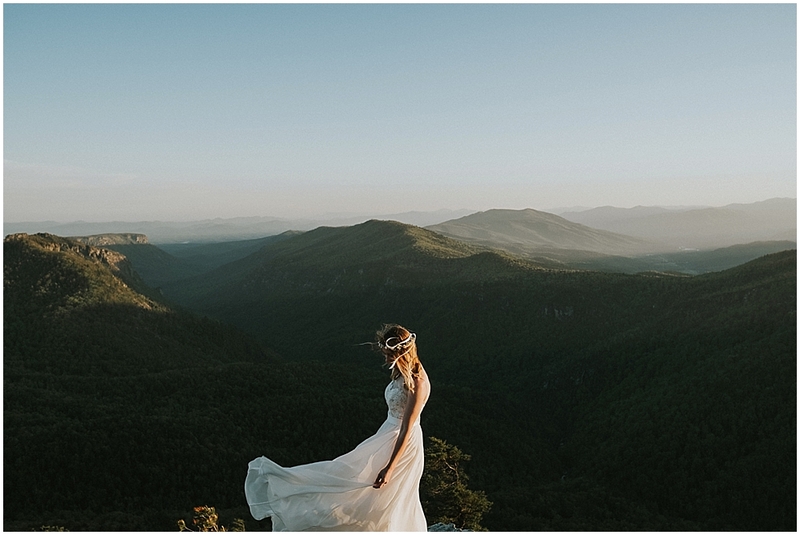 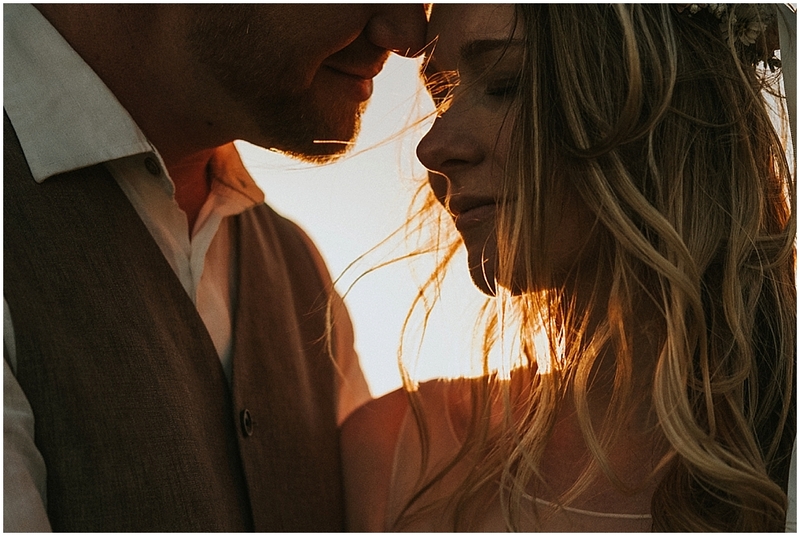 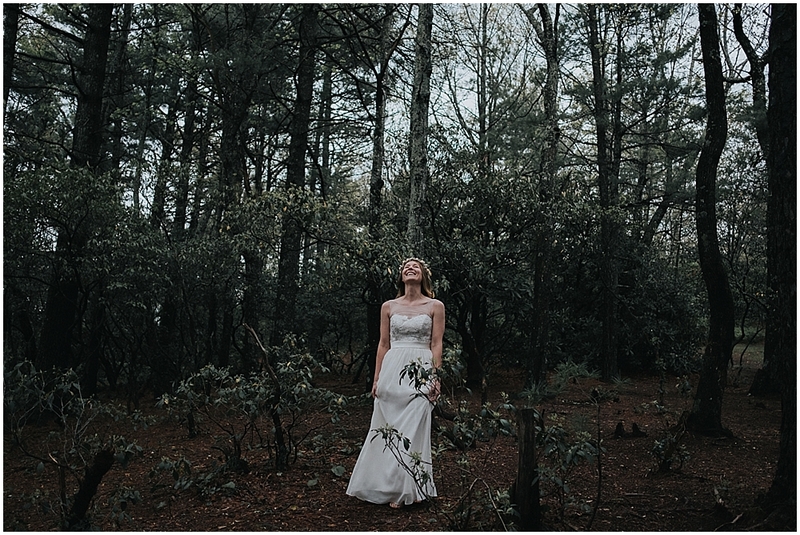 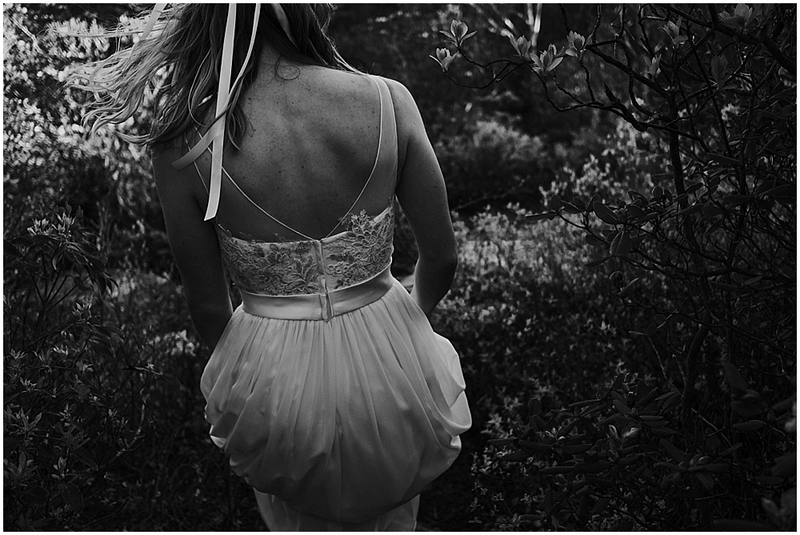 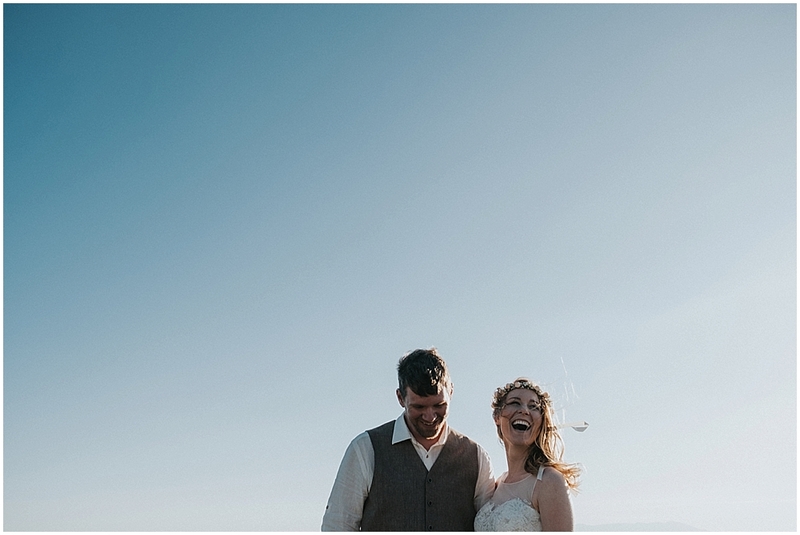 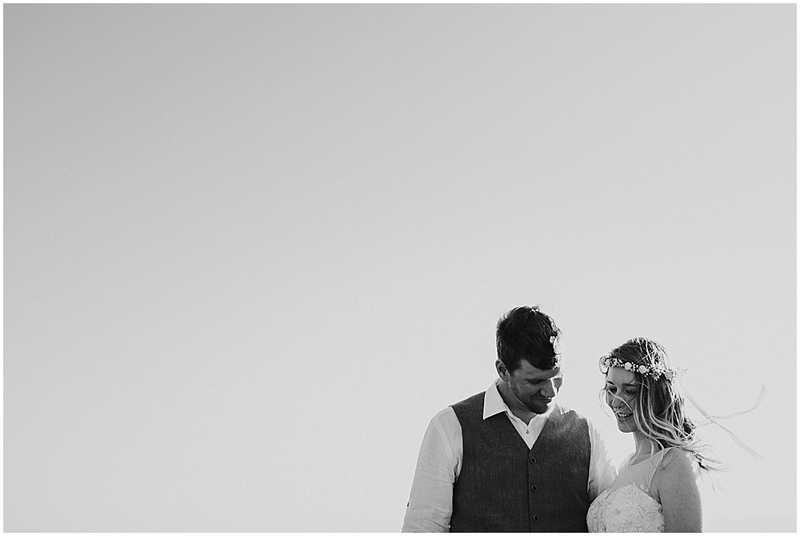 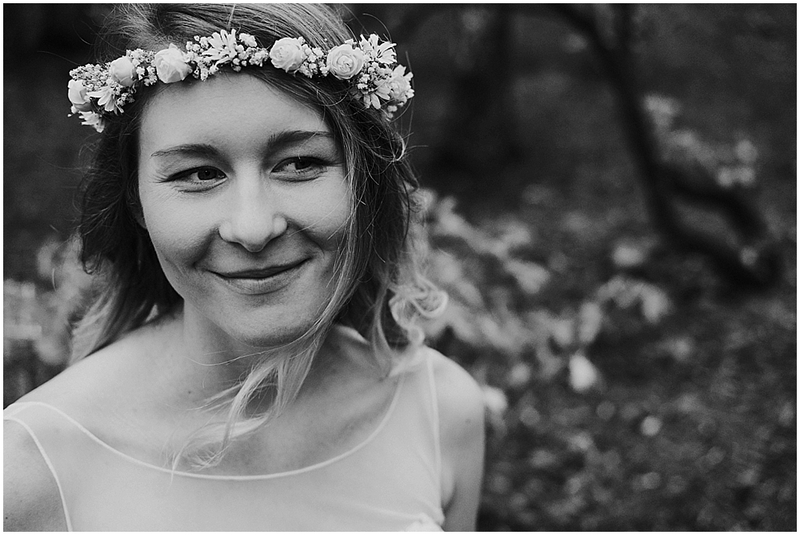 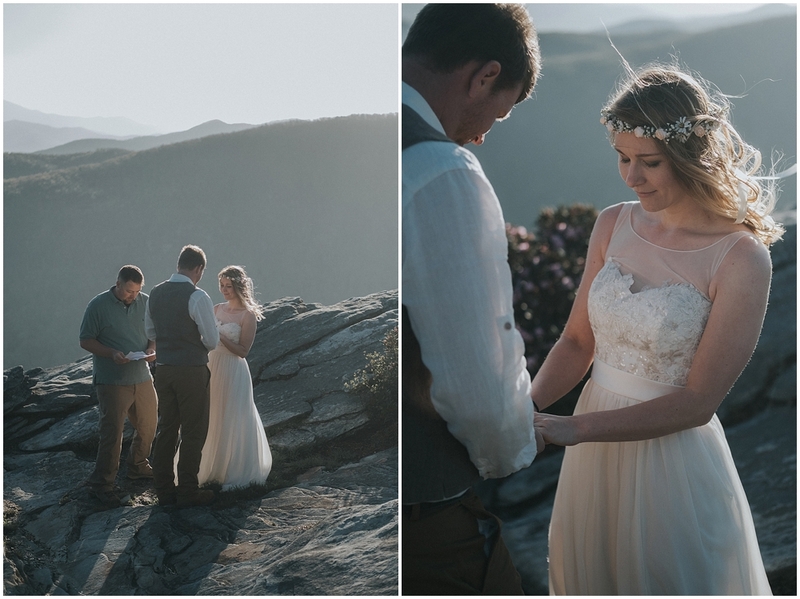 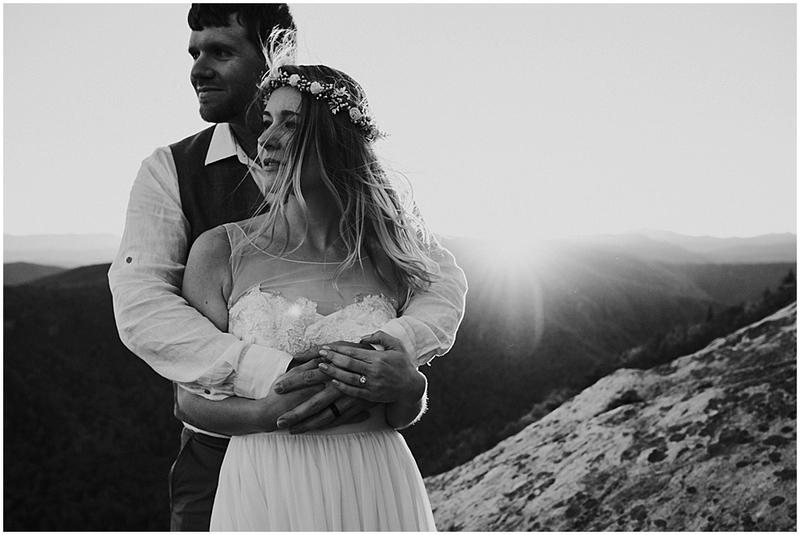 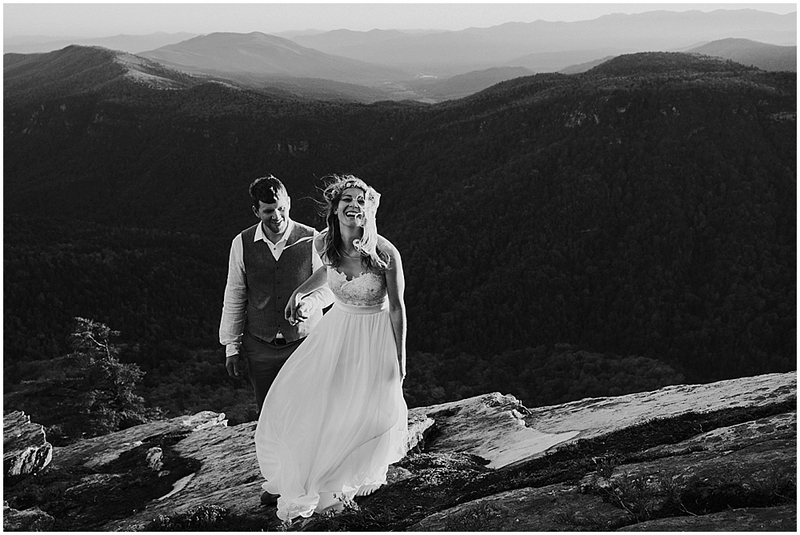 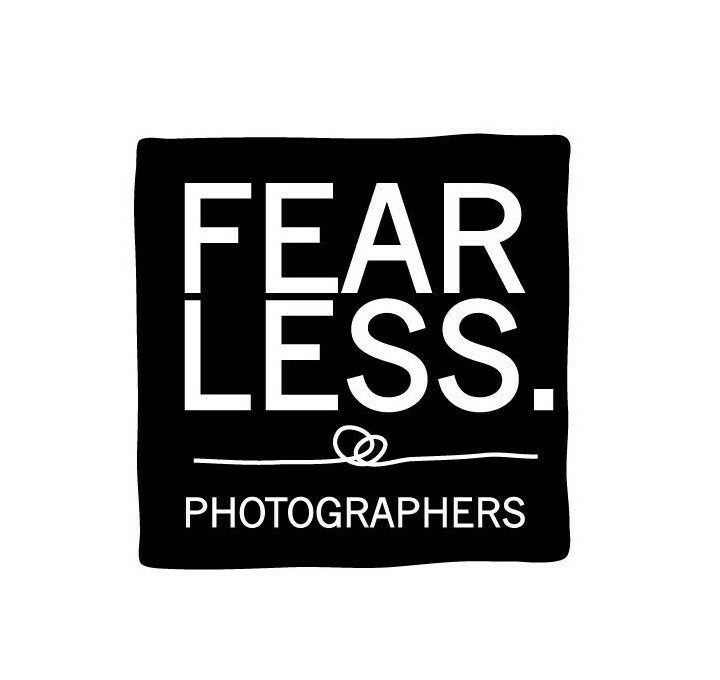 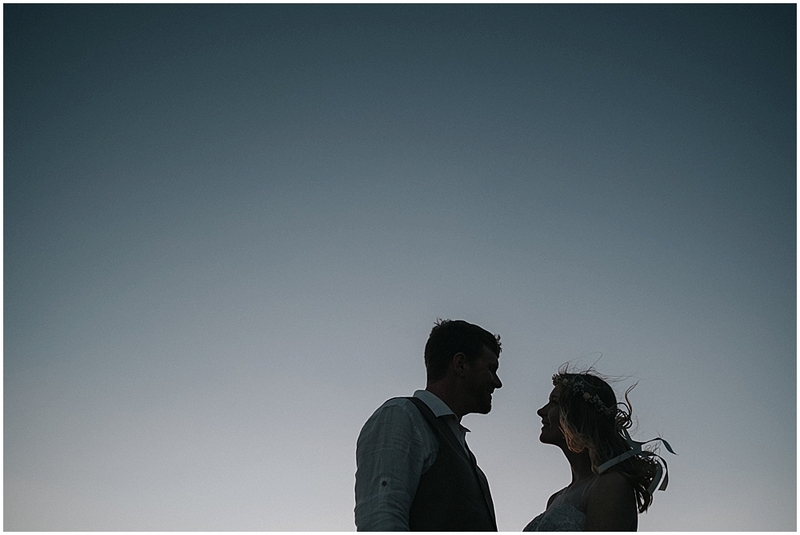 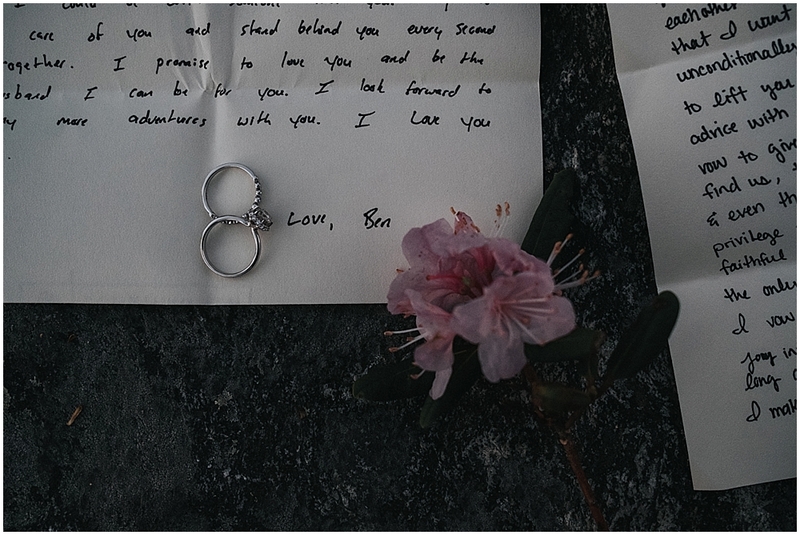 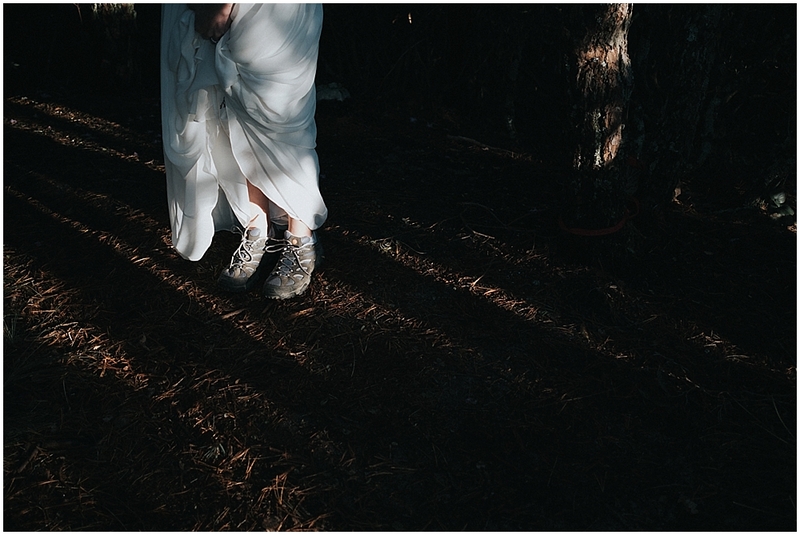 Lauren and Ben’s elopement was one of those days where everything just aligned perfectly. 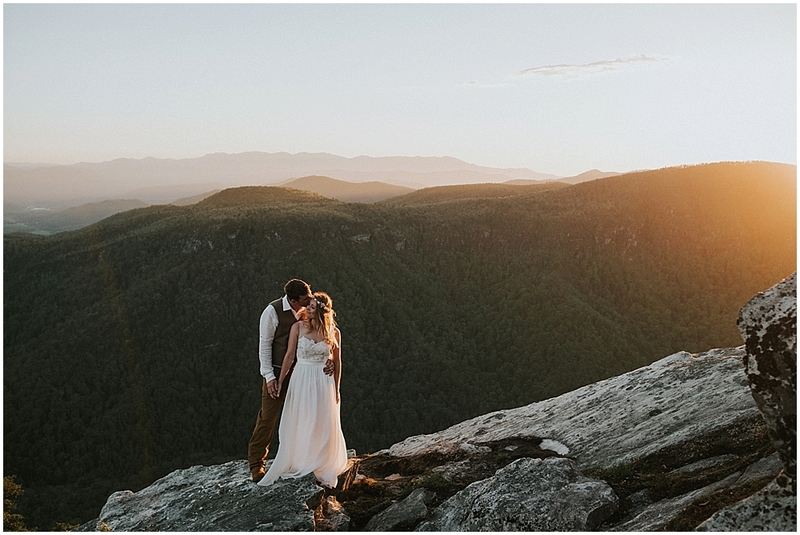 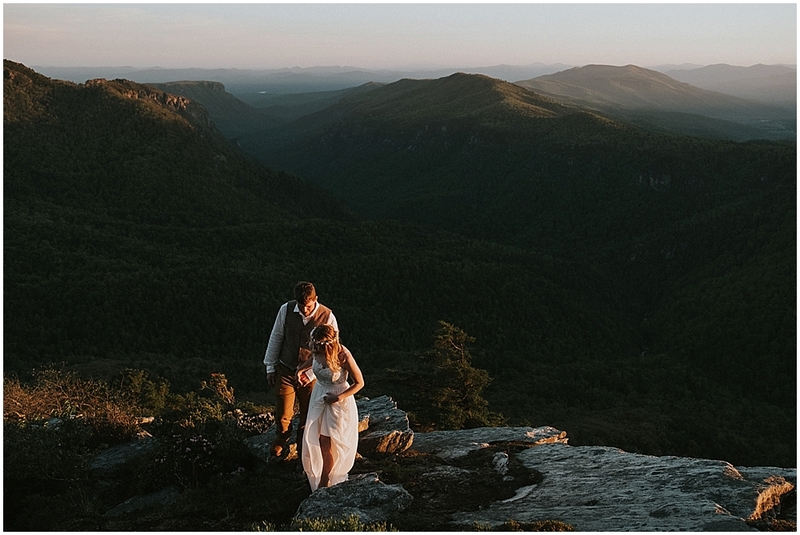 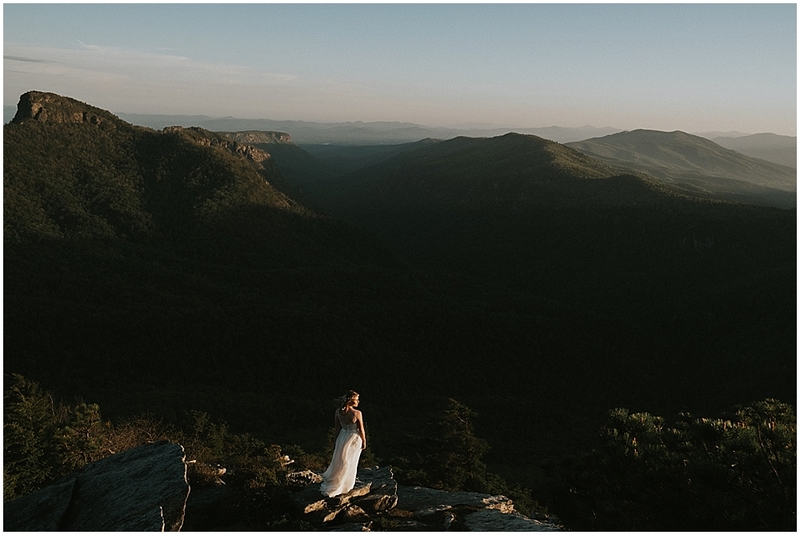 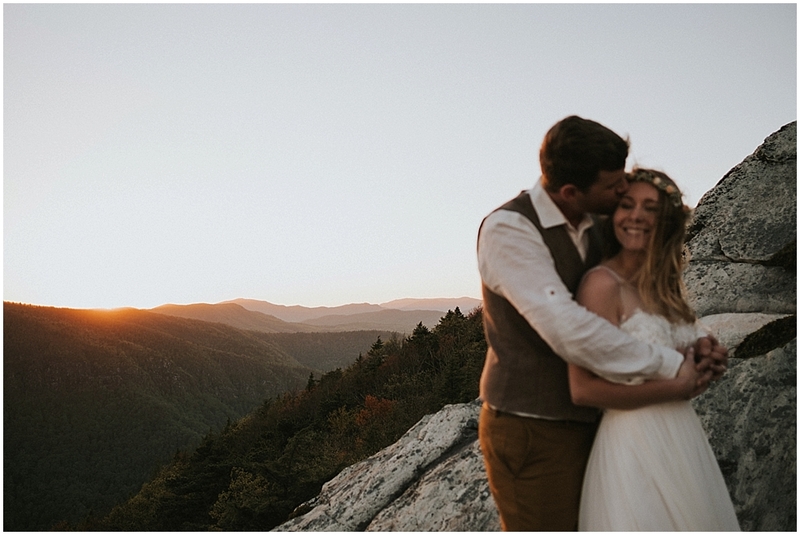 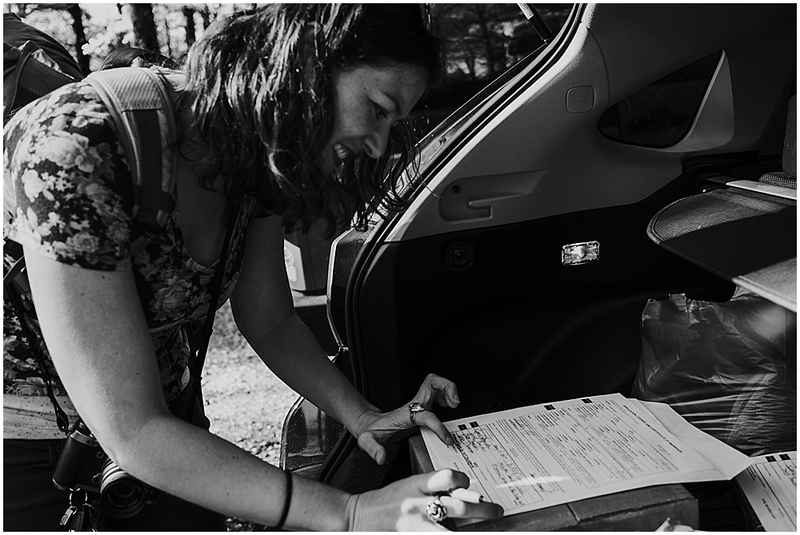 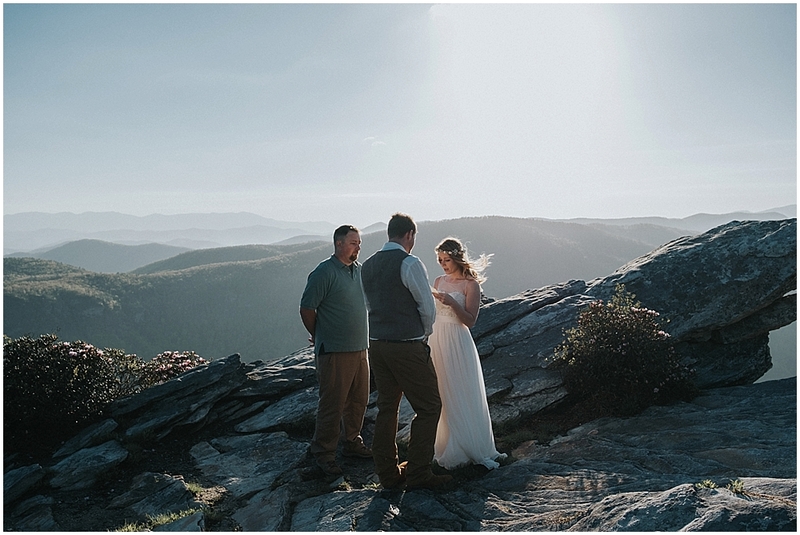 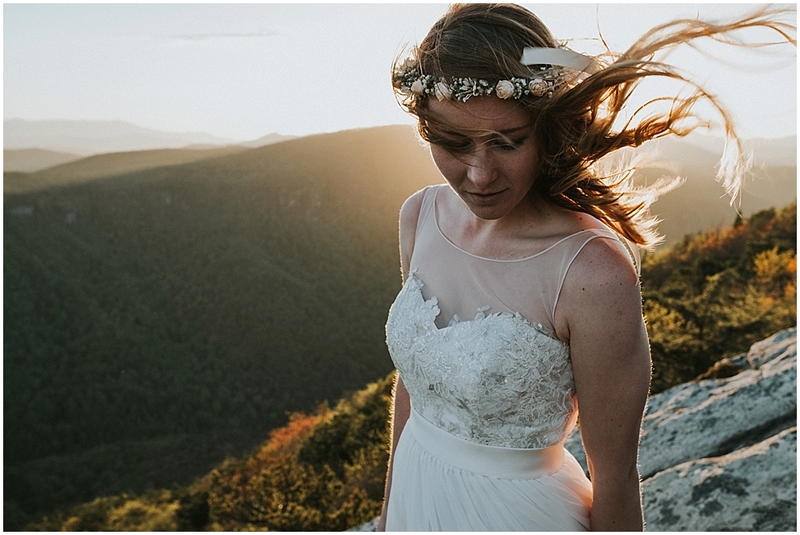 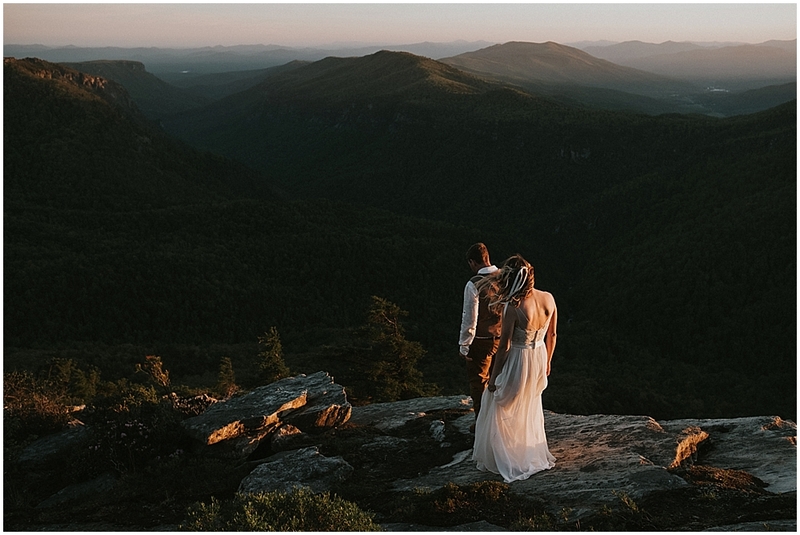 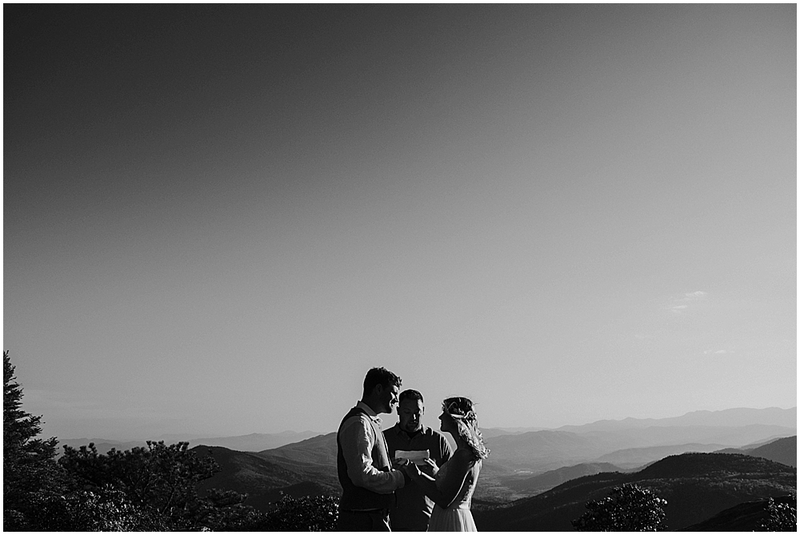 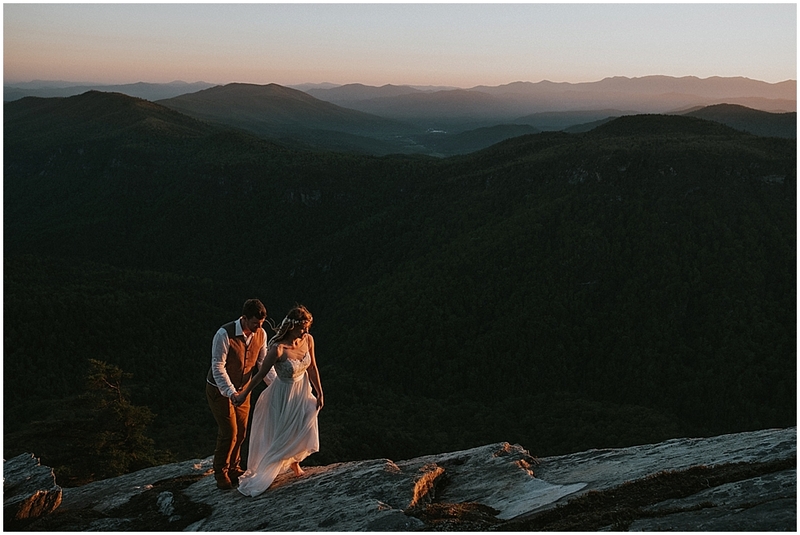 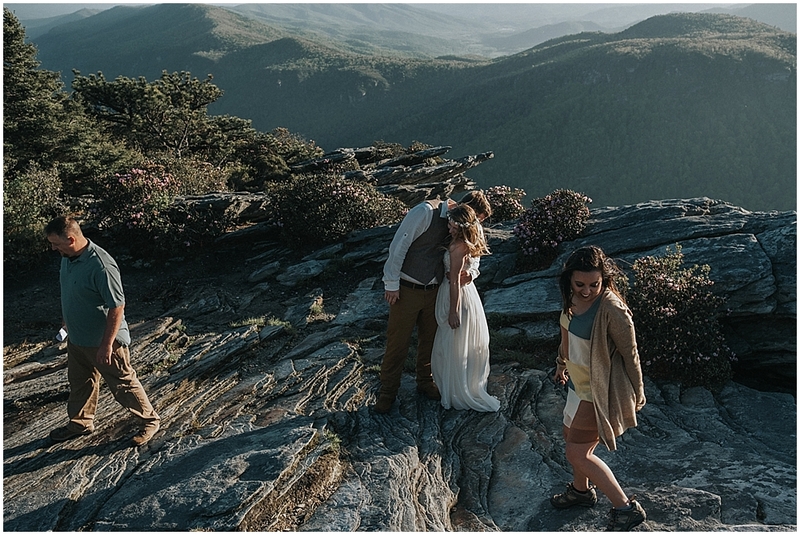 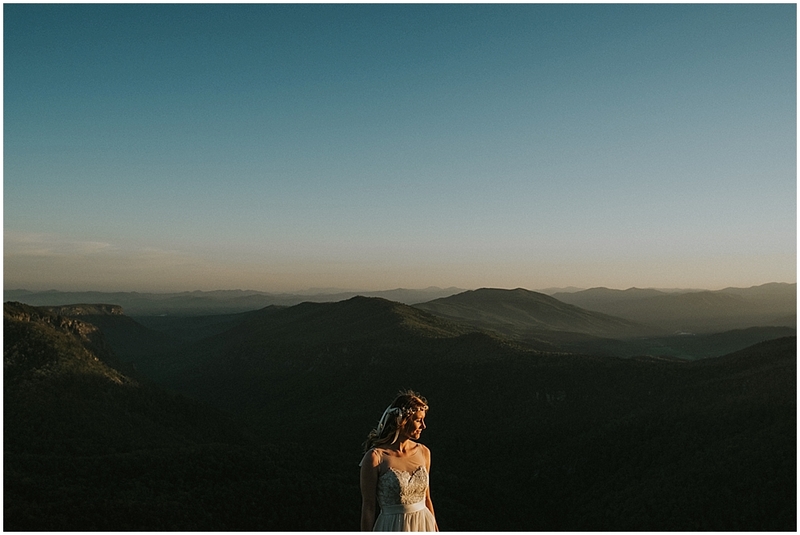 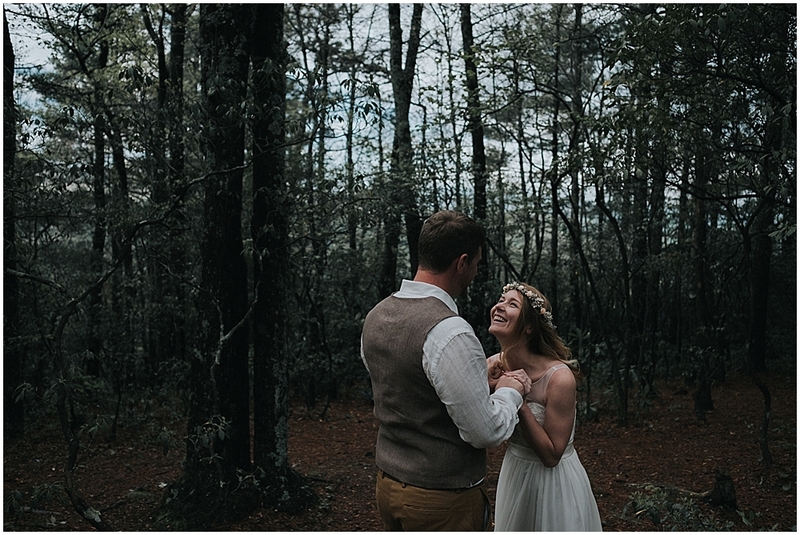 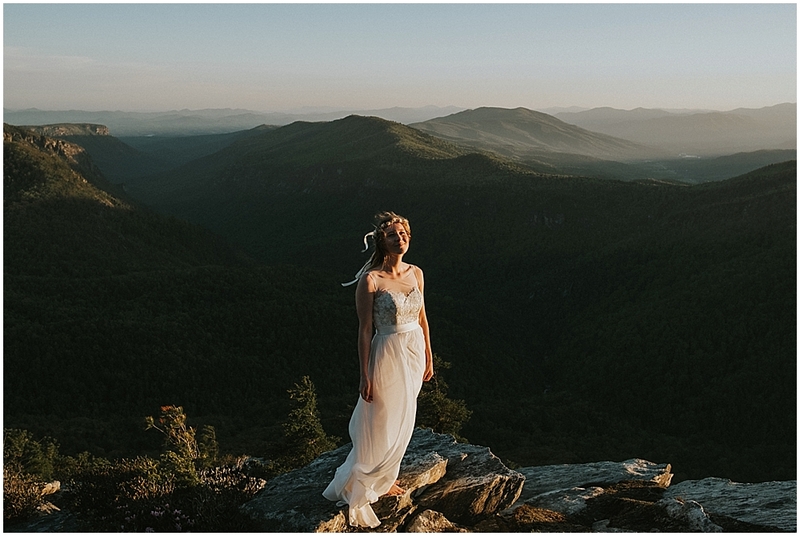 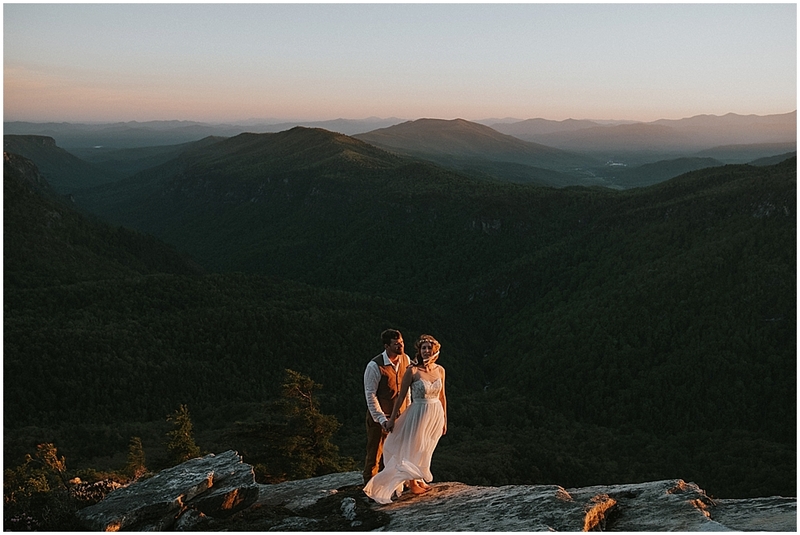 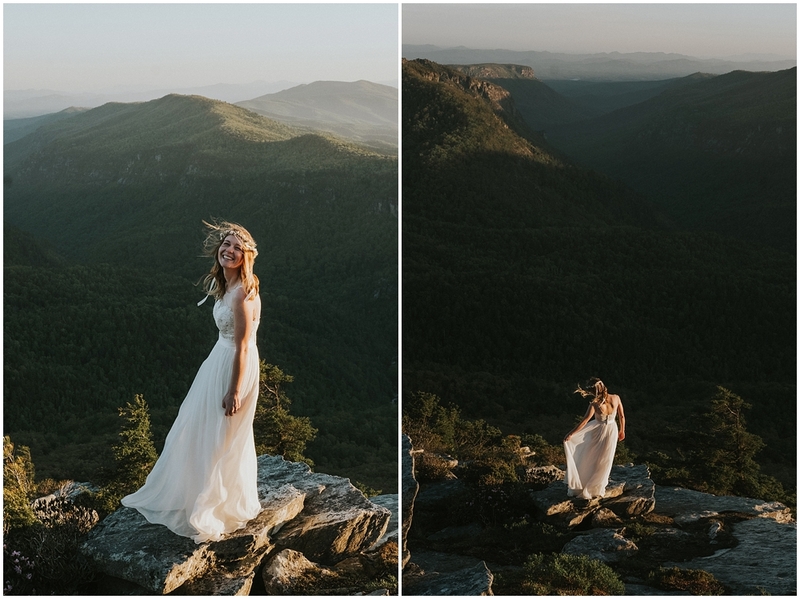 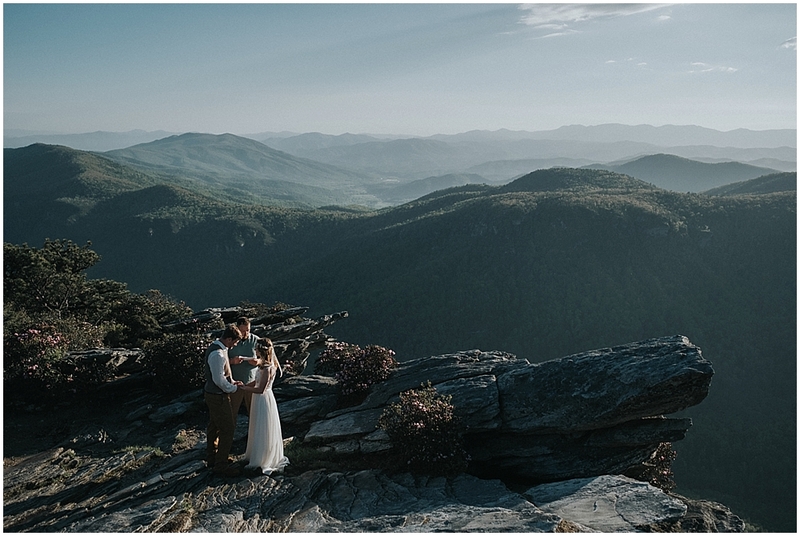 These two drove up from Alabama for a week in the Blue Ridge Mountains, which started out with their Monday elopement. 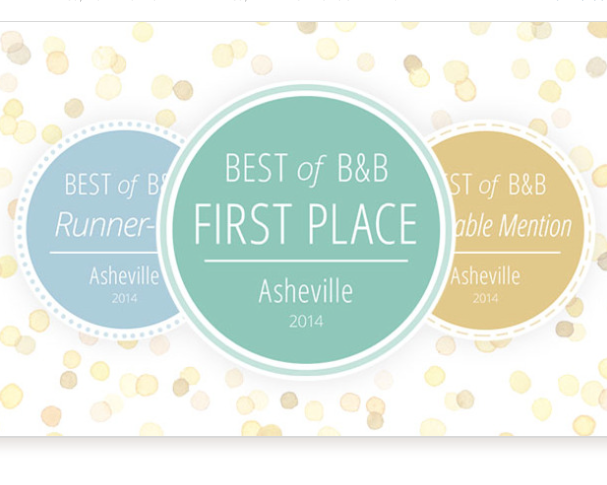 Driving into Asheville it down-poured like CRAZY! 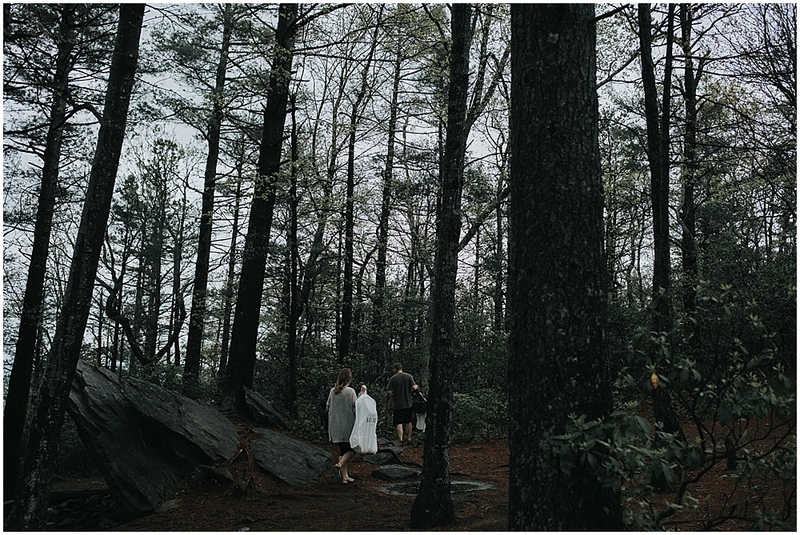 My mom even called to check on me since she heard the weather was bad in North Carolina. 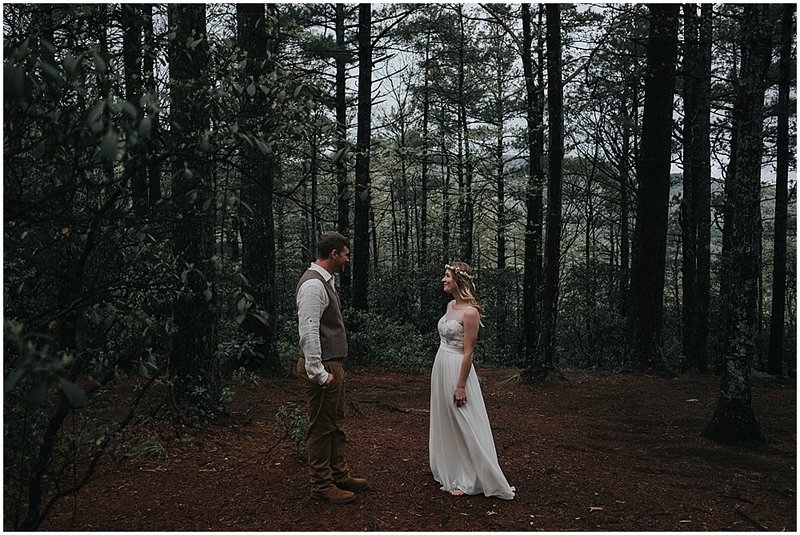 It poured as I pulled onto the gravel road leading into Pisgah Forest but once I parked at the trailhead it stopped. 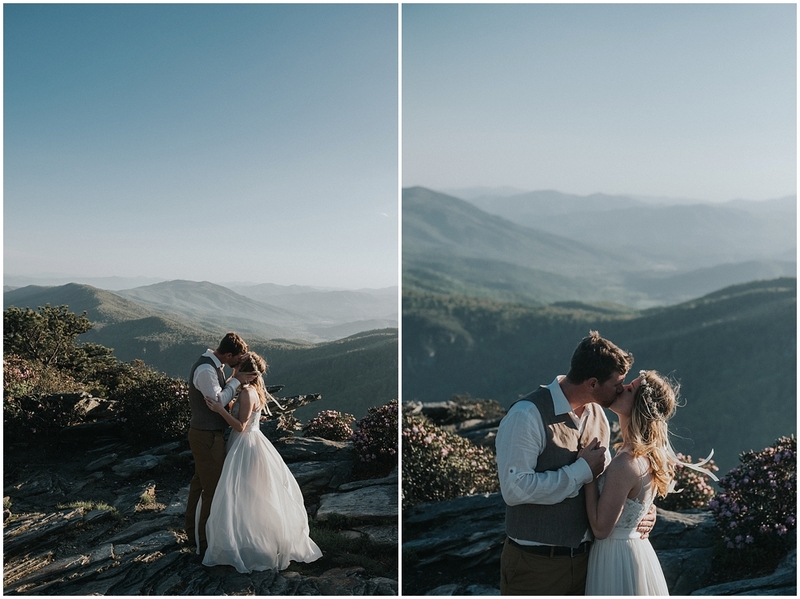 They sky stayed gray all through when Lauren and Ben came in, but the sun broke out by the time we hiked to the top of the mountain. 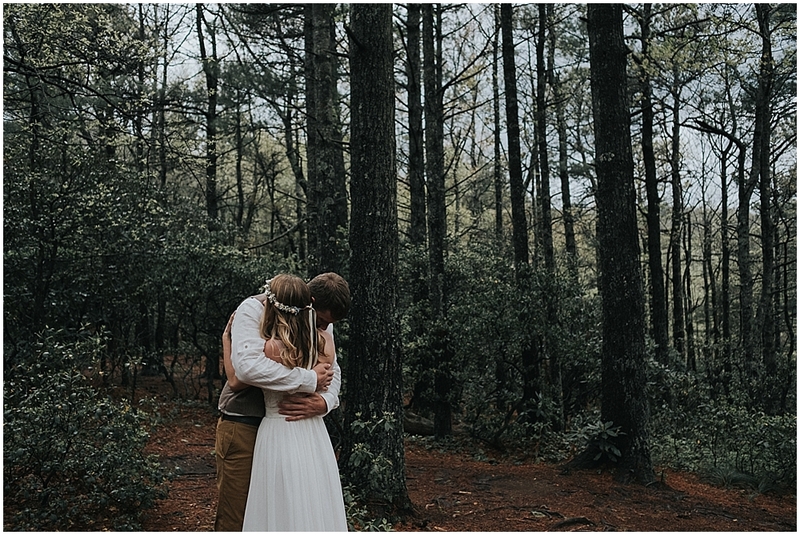 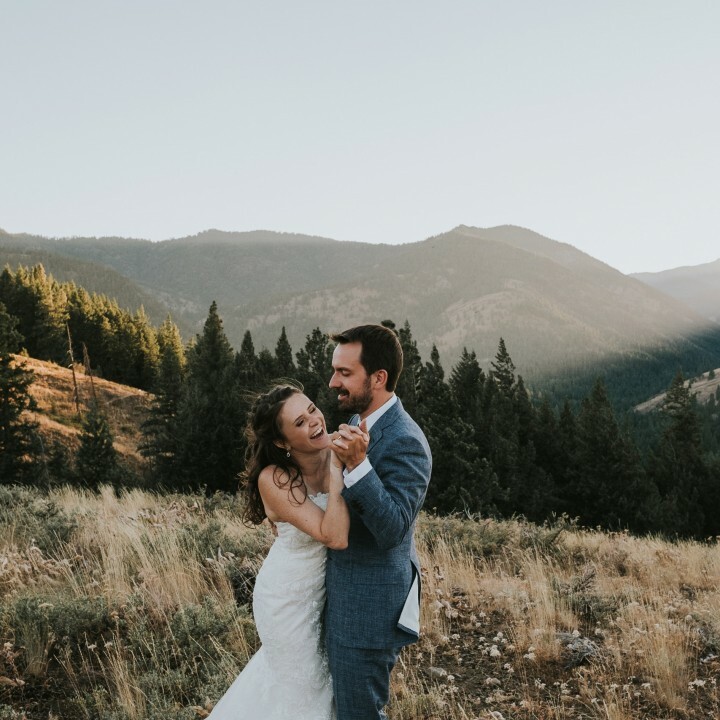 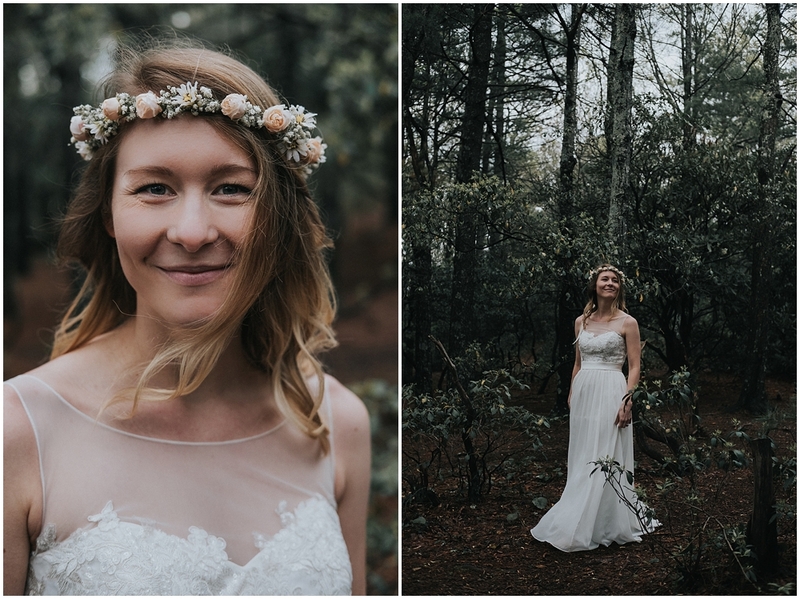 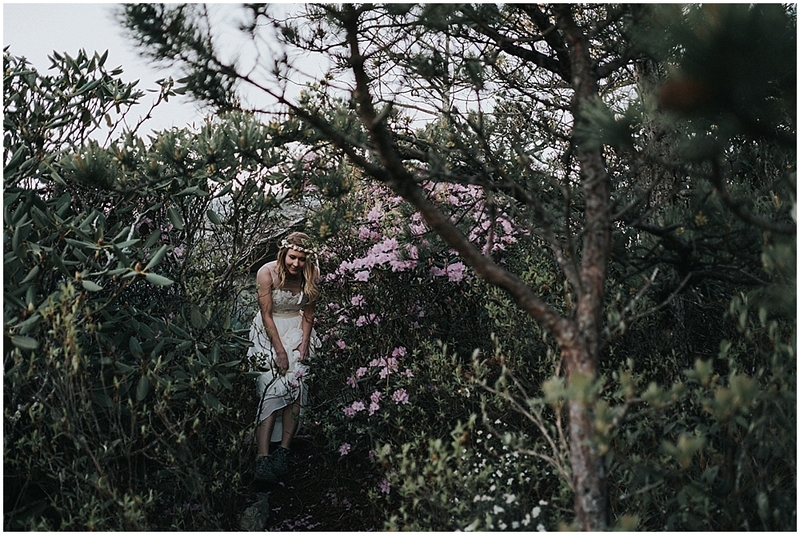 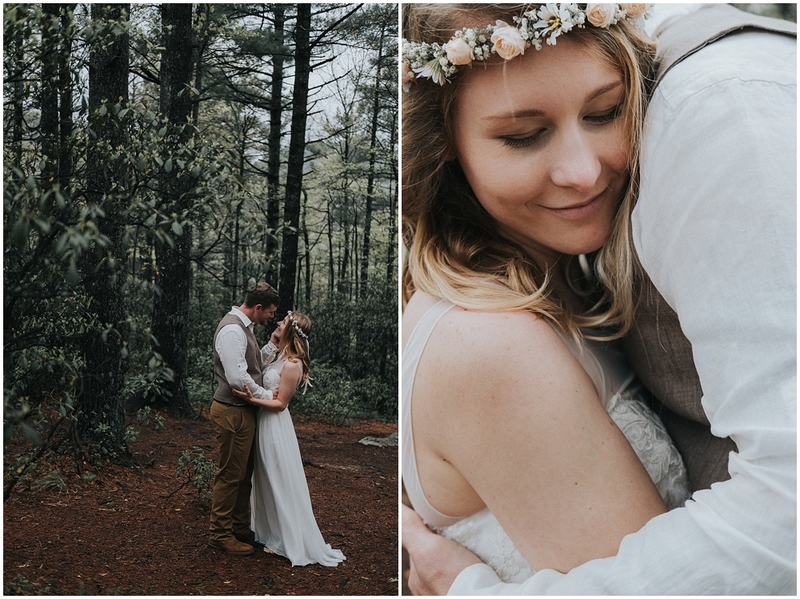 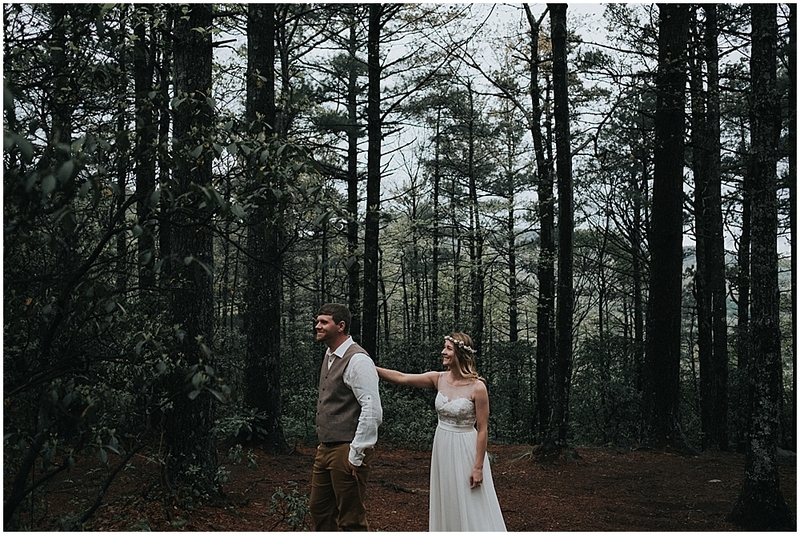 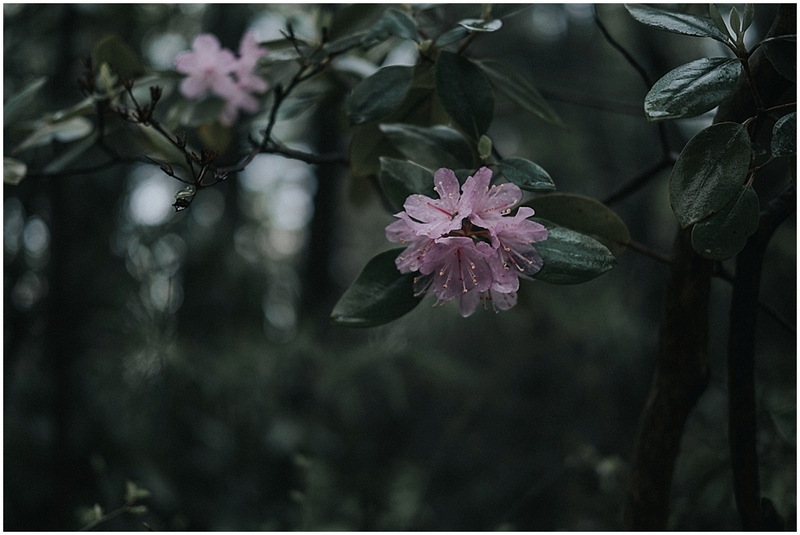 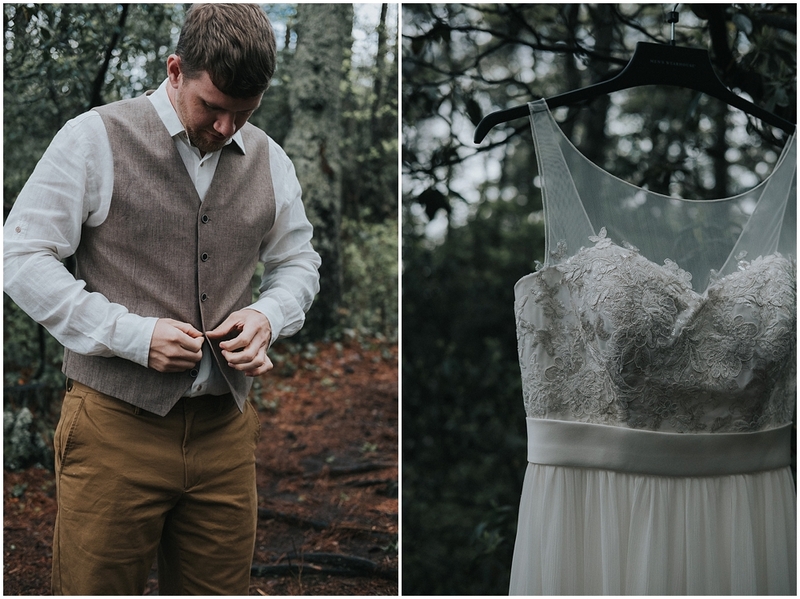 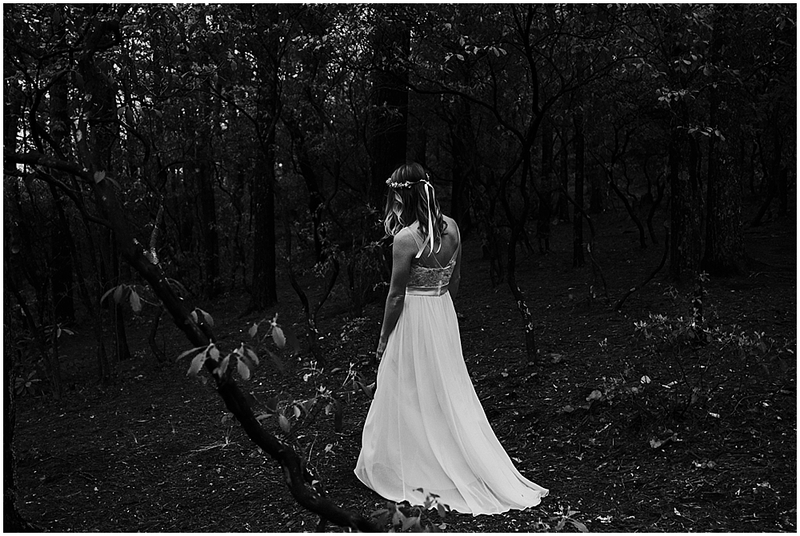 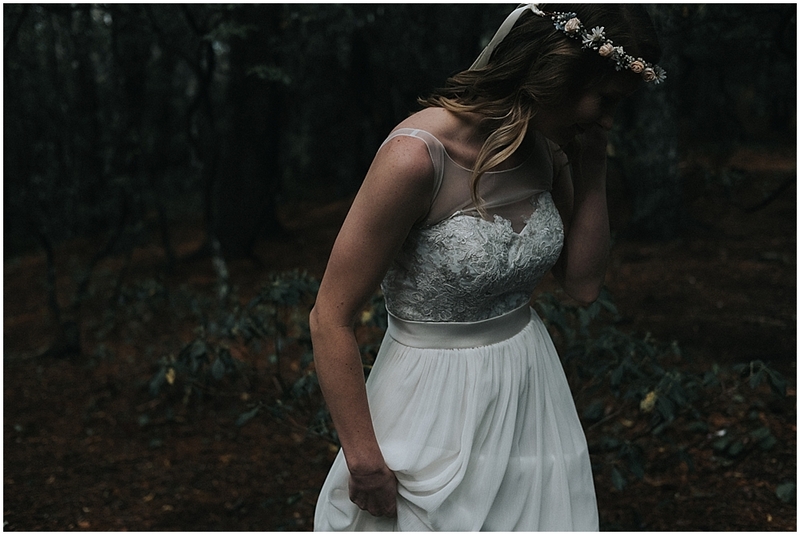 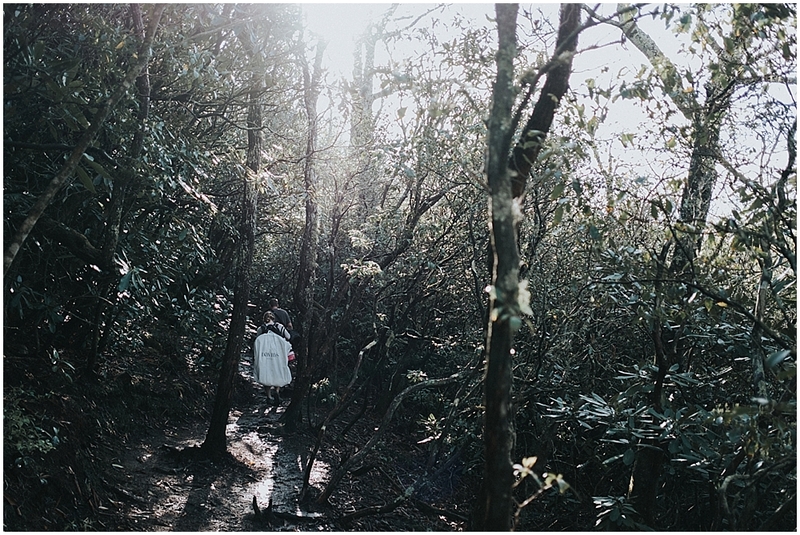 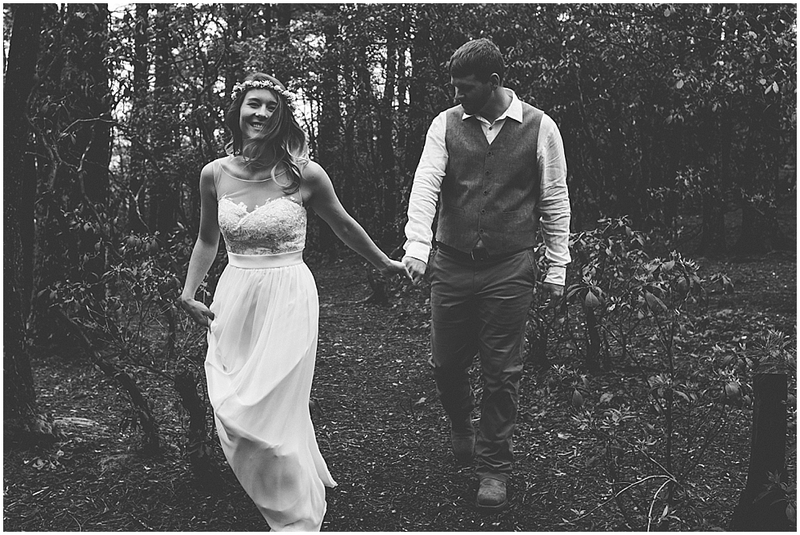 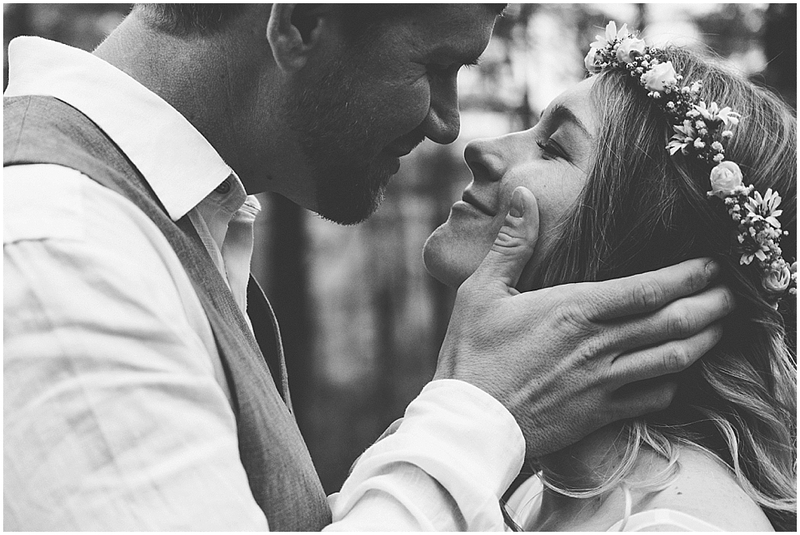 Perhaps one of my favorite things about Lauren and Ben’s elopement ( besides Lauren’s flower crown, and the way Ben adoringly looks at her, and the overall beauty of the day) was the fact that these two got dressed outside in the forest together. 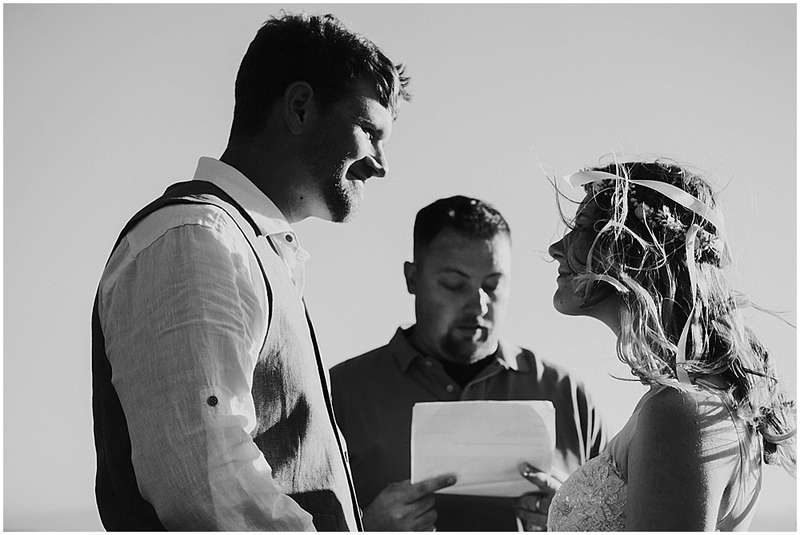 The look on Ben’s face when he saw his bride all dressed up for the first time is priceless. 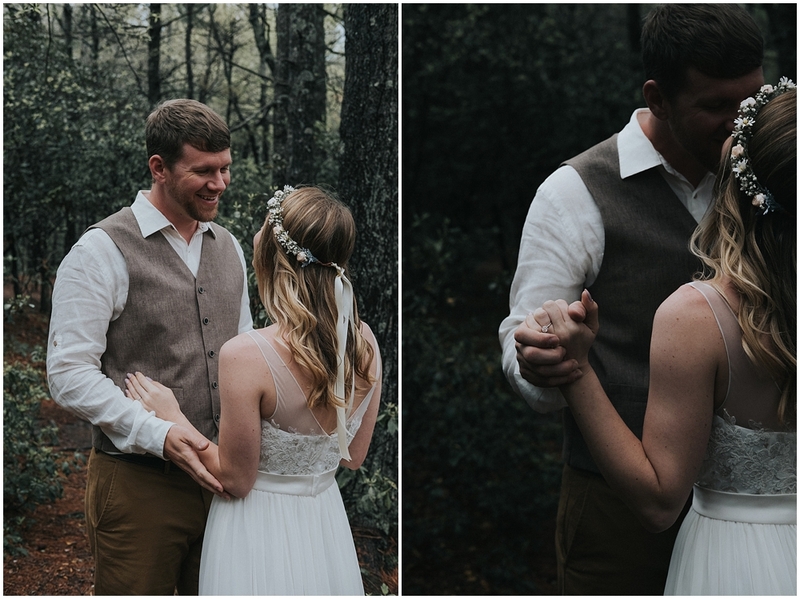 The way these two look at each other, they don’t even need words. 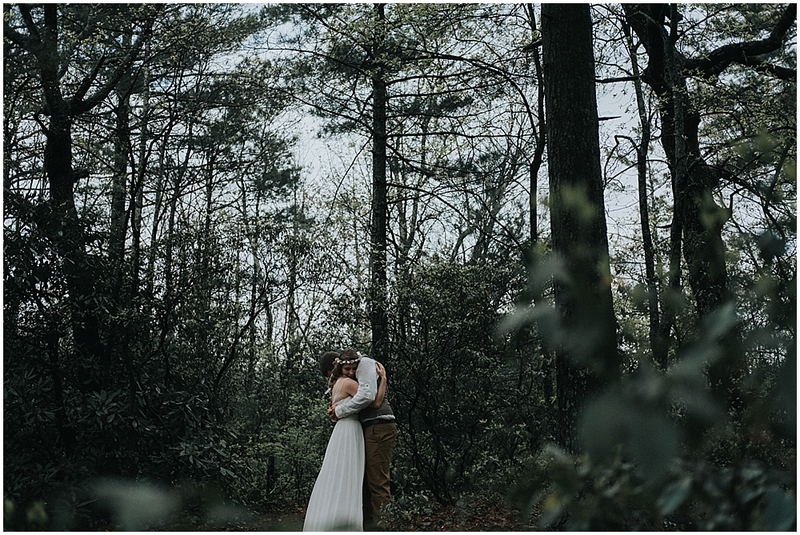 You can just feel the love. 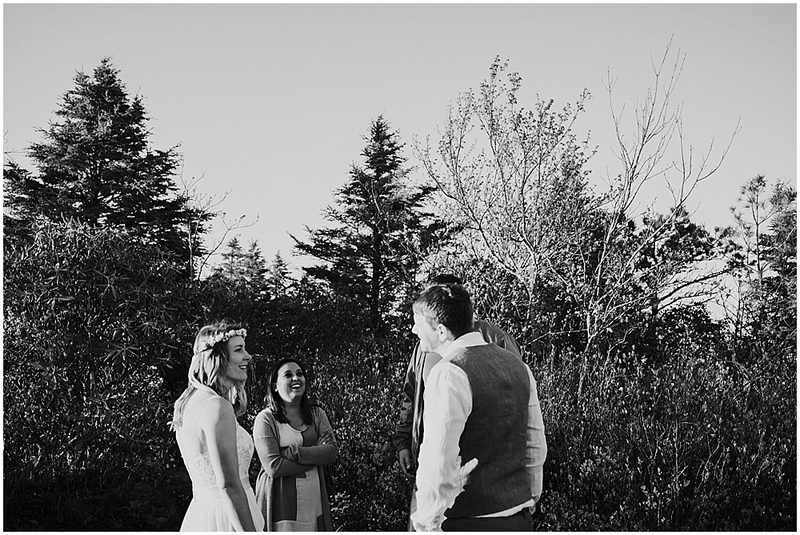 Their friend came up to officiate, and besides his wife, I was their only additional witness. 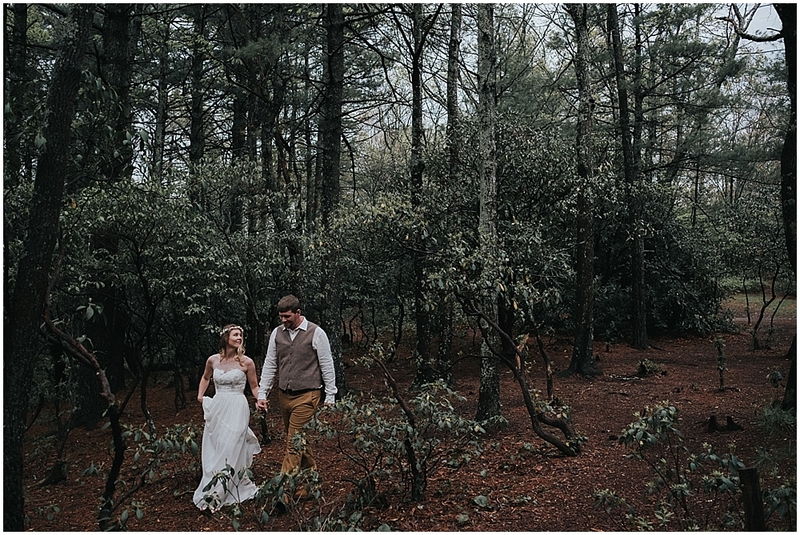 Lauren and Ben based their ceremony location off of my suggestions. 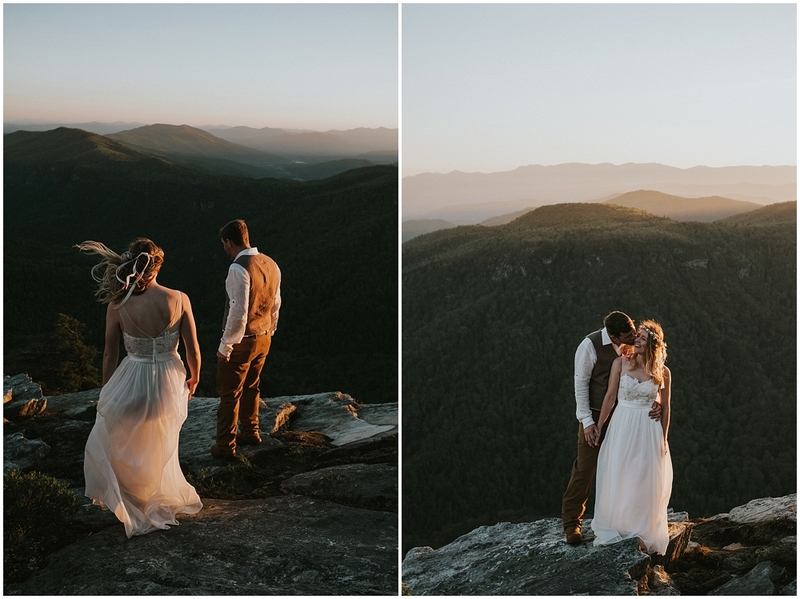 The spot I recommended for them took about a mile and a half hike up the mountain, but those views and solitude are so worth it. 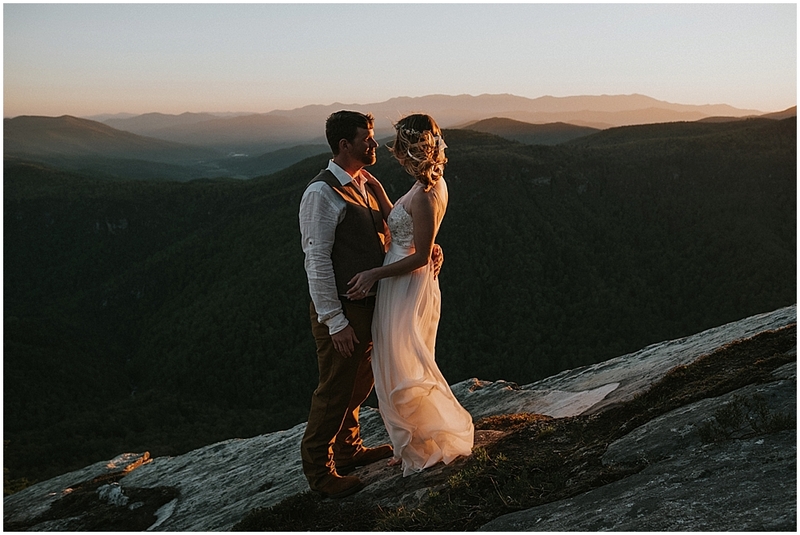 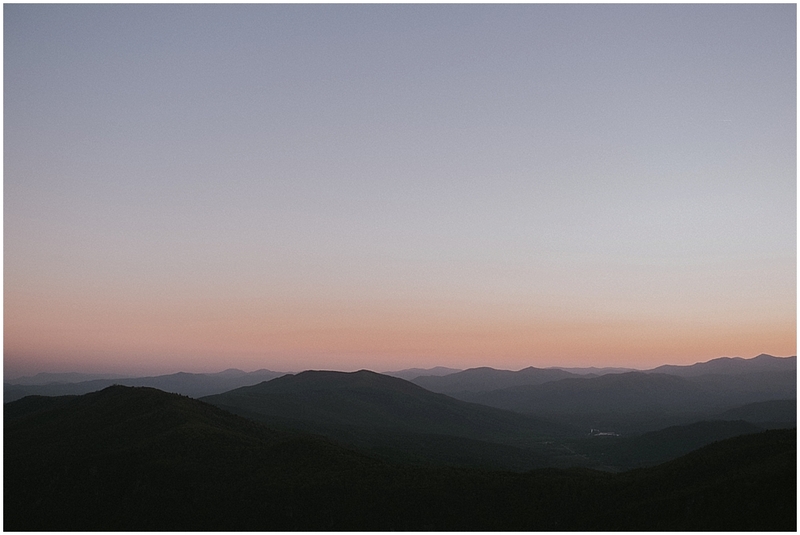 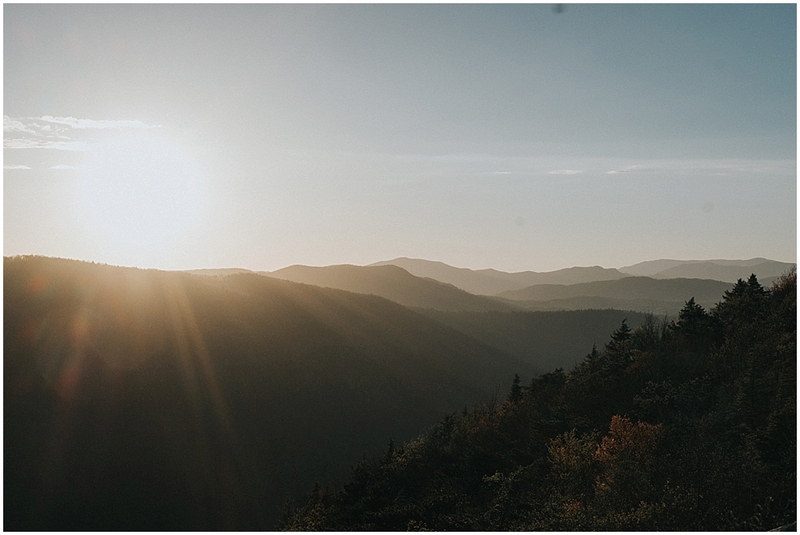 The blue ridge views, the breeze, and that golden sunset made for a night I will certainly remember. 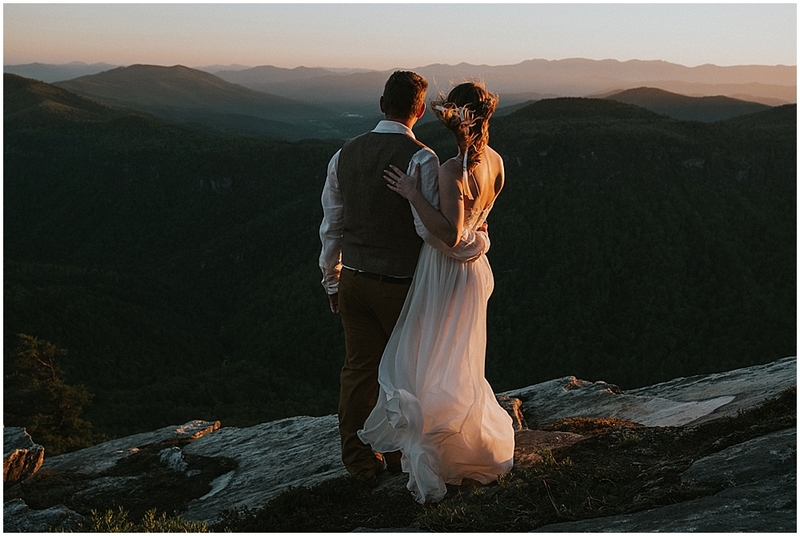 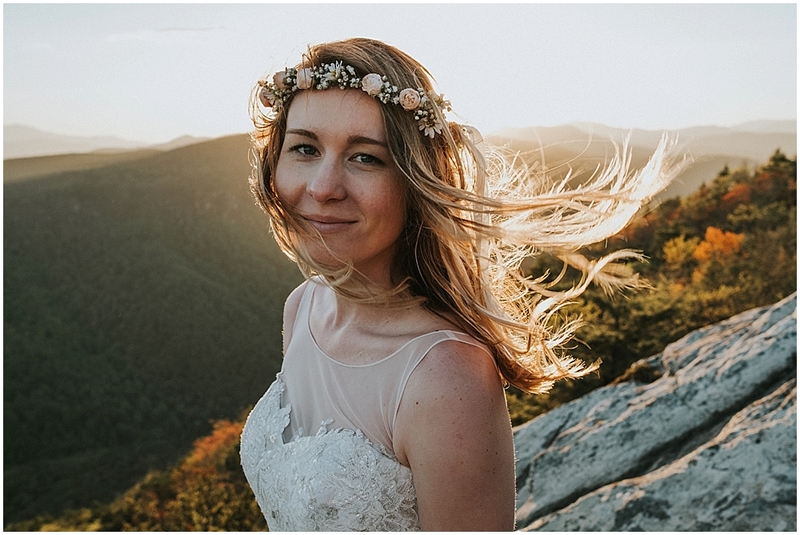 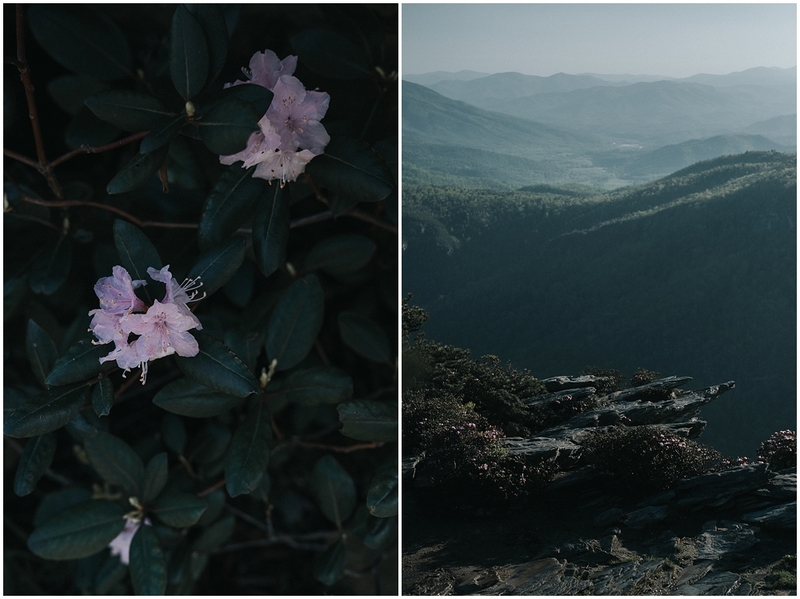 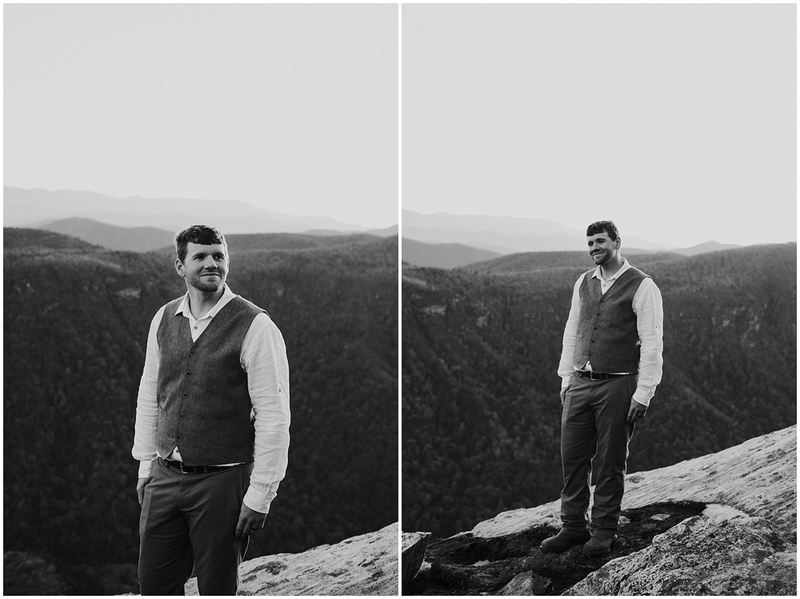 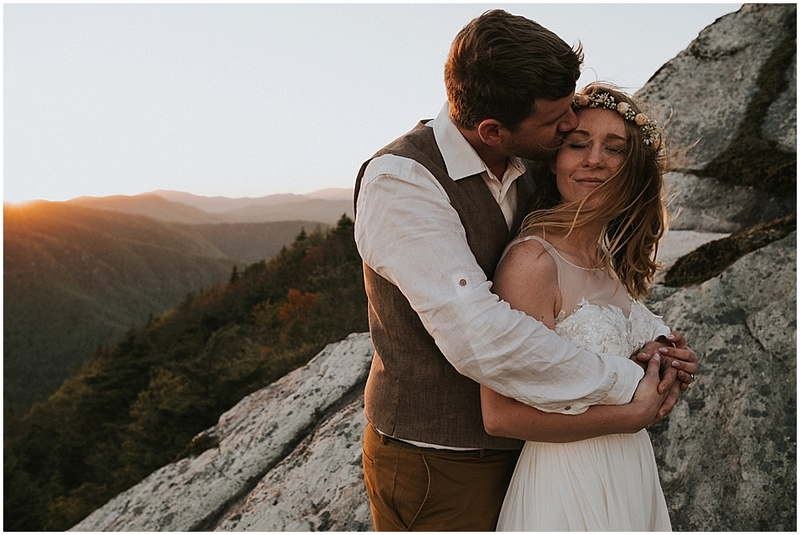 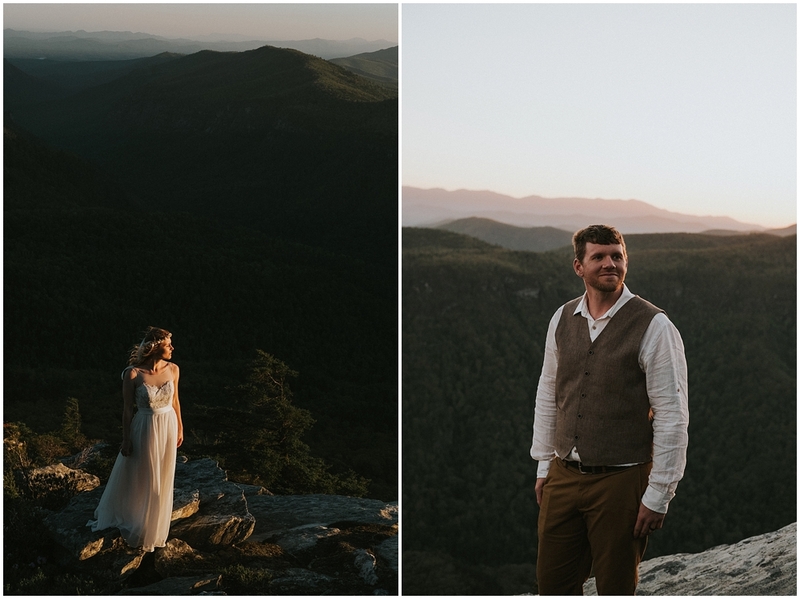 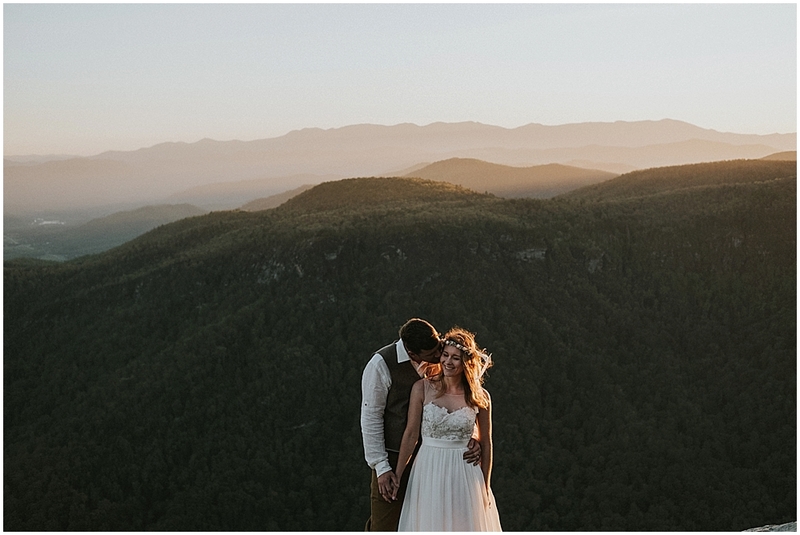 All thanks and congrats goes to these two for taking an adventure out to the Asheville mountains for a beautiful elopement. 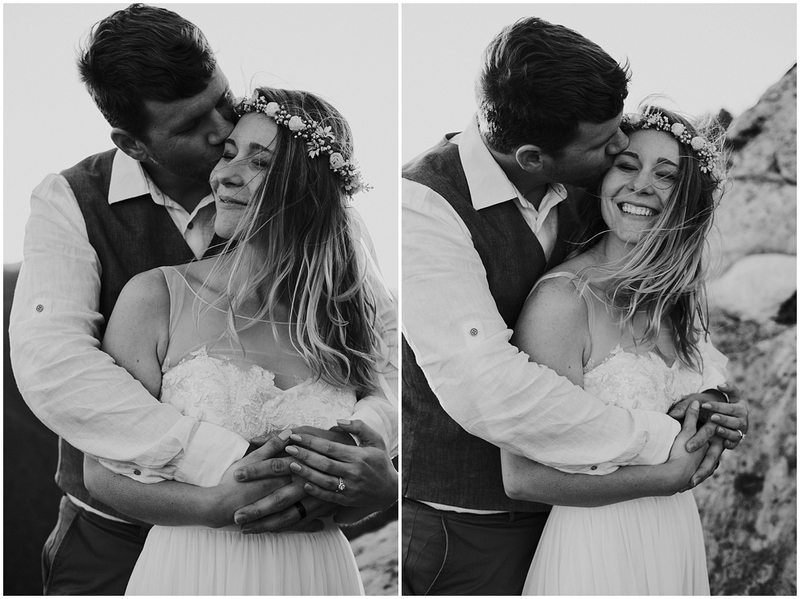 I am so happy for you guys!!! 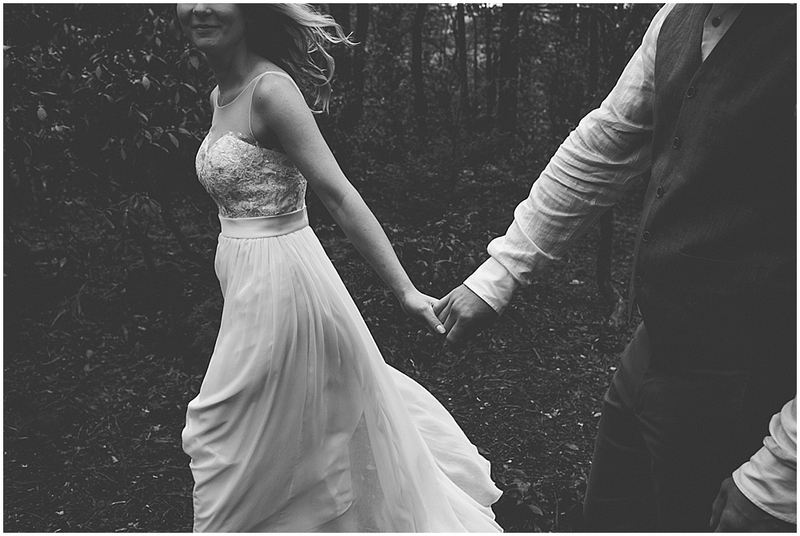 Those happy, messy, wild, and spontaneous moments we share become the memories that stick forever.